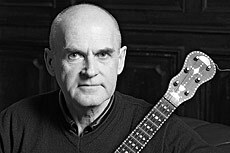 The guitarist Walter Würdinger was born in Steyr (Austria) and received his first music lessons in violin, mandolin and guitar at this place. He continued his guitar studies with Luise Walker at the Vienna Academy for Music and Performing Arts and completed his studies with distinction. As a soloist and chamber musician he performed in numerous European countries, Syria, Japan, Hong Kong, North and South America. Up to his nomination as professor for guitar in Vienna 1981, he also worked as a guitarist and mandolinist at the Federal Theatres of Austria. Furthermore he produced many recordings on CD and for radio- and tv-stations. He is particularly focussed on chamber music in different line-ups. Walter Würdinger performed with all renowned Vienna orchestras and ensembles specialized in Contemporary Music. He is jury member of international competitions, in particular he is the chairman of the Vienna International "Karl Scheit" Guitar Competition and in 2002 he was juror at the Competition "Alirio Diaz" in Venezuela. He is member of the senate and dean of the faculty "Instrumental Studies" at the Vienna University of Music and Performing Arts.